He decided against Frank Gehry, considered Rem Koolhaas and ultimately chose two young architects (Shim-Sutcliffe Architects) that would come to change contemporary architecture. Jim Stewart is the most published mathematician since Euclid, a concert level violinist, calculus professor, philanthropist, and gay rights activist. He is a true polymath, a modern day renaissance man. He had a bold vision and the conviction to follow through. 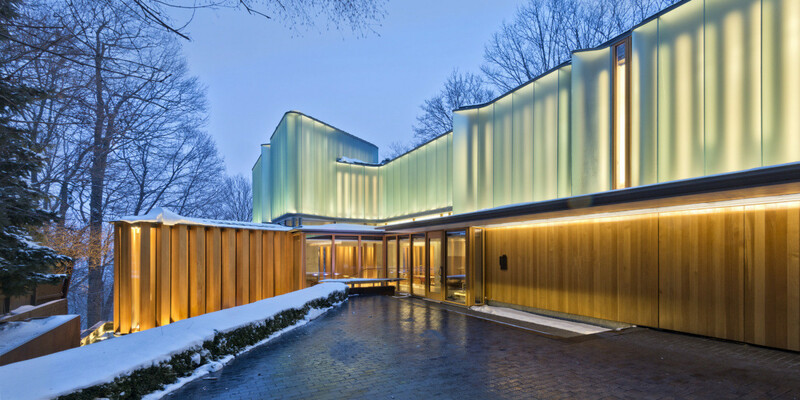 It took almost ten years to realize his dream, Integral House, which was completed in 2009. Designed around a stunning internal concert hall, it was hailed as a masterpiece by some of the greatest architecture and design critics in the world. Integral House, like Jim, was unlike anything else. Now confronting his inability to play violin as arthritis cripples his hands, Jim boldly faces his declining health, jumping head long into the role of impresario. But it would not be so simple. As unexpected events unfold, Jim is left to make some of the most difficult decisions of his life.